THE Ultimate Greek Festival in the metro-Detroit area is going on this weekend at St. George Greek Orthodox Church of Bloomfield Hills, MI. 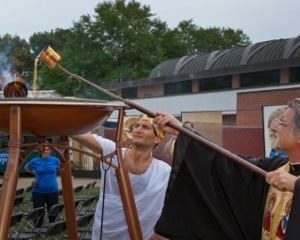 Stop by to view the worlds largest Saganaki, enjoy Greek delicacies, purchase some artifacts, or just listen to the Greek music September 7,8 and 9, 2012! 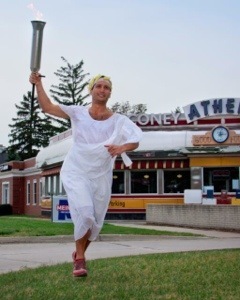 The beautiful church grounds at 43816 Woodward Ave, Bloomfield Hills, MI are set up for a Greek good time….not to be missed! Yassou! Next Next post: Pasta fabuloso!